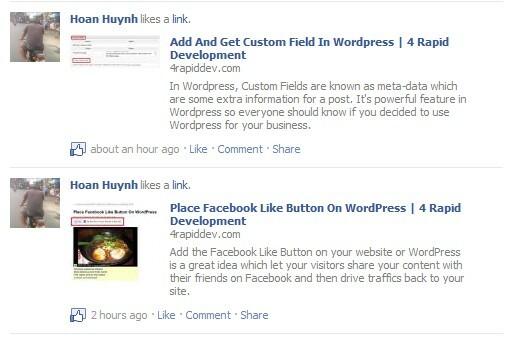 When you share your page with Facebook Like Button or http://www.facebook.com/share.php?u=url, Facebook will automatically parse your Title, Description meta tag and try to find an image to assign it as the preview thumbnail for the sharing. + your_feature_image_url: your full url of the featured image. You don’t need to worry about resizing, Facebook will take care for you. 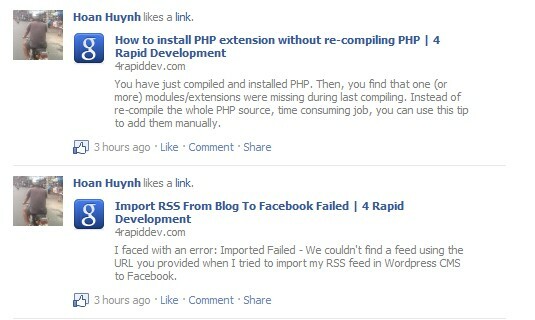 If you’re using WordPress, I will share with you how I control the featured image which will show on your wall story when you click Like Button on every my post. First, please this tutorial: http://4rapiddev.com/tips-and-tricks/add-and-get-custom-field-in-wordpress/ to know how to config your featured image by adding and getting a custom field. & replace the your_feature_image_url with your full image url. HERE IS A PAGE WHICH SHARES THEIR PAGE WITH ANIMATED IMAGE.,http://www.facebook.com/nsjTN AS YOU CAN SEE FROM THIS PAGE ., ON THEIR WALL POST., THE THUMBNAIL IMAGES ARE ANIMATED., HOW CAN I SHARE MY PAGE WITH A CUSTOM IMAGE.? ?ANY IDEA IN THAT. ?